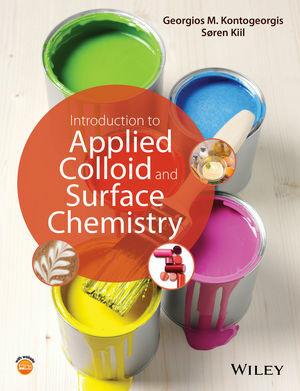 Colloid and Surface Chemistry is a subject of immense importance and implications both to our everyday life and numerous industrial sectors, ranging from coatings and materials to medicine and biotechnology. How do detergents really clean? (Why can't we just use water?) Why is milk "milky"? Why do we use eggs so often for making sauces? Can we deliver drugs in better and controlled ways? Coating industries wish to manufacture improved coatings e.g. for providing corrosion resistance, which are also environmentally friendly i.e. less based on organic solvents and if possible exclusively on water. Food companies want to develop healthy, tasty but also long-lasting food products which appeal to the environmental authorities and the consumer. Detergent and enzyme companies are working to develop improved formulations which clean more persistent stains, at lower temperatures and amounts, to the benefit of both the environment and our pocket. Cosmetics is also big business! Creams, lotions and other personal care products are really just complex emulsions. All of the above can be explained by the principles and methods of colloid and surface chemistry. A course on this topic is truly valuable to chemists, chemical engineers, biologists, material and food scientists and many more. Georgios M. Kontogeorgis and Søren Kiil are both at the Technical University of Denmark, in the Dept of Chemical and Biochemical Engineering. Kontogeorgis is Professor of Applied Thermodynamics, and Kiil is Associate Professor in Coatings Science and Engineering. Prof Kontogeorgis has been teaching the colloid and surface chemistry course for 12 years, for the past 3 co-teaching with Kiil. Both authors have diverse research interests in strongly interconnected fields. Kontogeorgis' research interests are in the fields of thermodynamics, physical chemistry (especially surface science and polymers), while Kiil’s interests are primarily in coatings science and engineering (antifouling-, anticorrosive-, wind turbine blades etc). Both have valuable books publishing experience: Kontogeorgis most recently on thermodynamic models (2010, Wiley); and Kiil has co-authored a textbook on product design (2007, Wiley).